PAINWeek, the largest US pain conference for frontline clinicians with an interest in pain management, takes place this year from 4th September to 8th September. The conference focuses on several different aspects of pain management, and indeed many different methods of pain management exist. None is so ancient, widely-known, and controversial, however, than pain management using opioids. Since the time of the ancient Mesopotamians and Egyptians, drugs associated with opium have been known as an effective treatment for pain. Opium comes from the sap of the seeds of the opium poppy, Papaver somniferum, and acts as a narcotic. As highly addictive substances, the medical world has battled over the appropriate use of opioids ever since the drug began to be circulated in the early 1700s. While these drugs can provide immensely successful pain relief, the possibility of the patient becoming addicted to opioids is too great to be ignored. Indeed, the US currently faces an epidemic of opioid addiction, largely stemming from prescribed opioids. Studies indicate that many patients are unaware of the dangers of opioid addiction, which is why it is vital that knowledge of opioid use is available publicly. Take our quiz to test your knowledge of opioids in relation to pain management. Featured image credit: Close-up drugs by Pexels. CC0 via Pixabay. Amy Cluett is a Marketing Assistant based in the Oxford office of Oxford University Press. 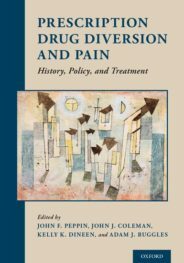 Themes for this quiz were taken from Prescription Drug Diversion and Pain: History, Policy, and Treatment (OUP, 2018).